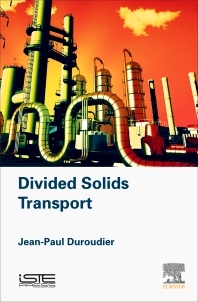 Divided Solids Transport, part of the Industrial Equipment for Chemical Engineering set, discusses the transport of a divided solid between workshops in a factory, and from a factory to the external market. Numerical examples are given for almost all the devices involved, and the pneumatic and hydraulic transportation parameters are also calculated. This book includes discussions on the movement of a divided solid by a liquid or gaseous stream, the energy consumption for a given flow, and how transporters are affected by the density and flow behavior of the divided solid being handled. The author also provides methods needed for understanding the equipment used in applied thermodynamics in the hope of encouraging students and engineers to self build the programs they need. Chapters are complemented with appendices that provide additional information and associated references. Jean-Paul Duroudier is an engineer from Ecole centrale de Paris, France. He has devoted his professional life to the study of materials in chemical engineering.